my juicy little universe: pf roundup & forward...march! Greetings to all and welcome to the last Poetry Friday round-up of February! I'm delighted to be your host as we leap over this year's invisible 29th into March, my birthday month. Inspired by fellow Piscean Laura Shovan's February Poetry Projects (if you haven't, check out three years' worth here, here and here), I got to thinking about the word "march." What a great word! In addition to being the month of the god Mars, you can slow-march to the beat of your own drum or quick-march someone else off to their room. You can play a march with the band, you can lead a march to demand rights or protest wrongs, and you can observe the march of time or progress. The origins of this meaning of "march" are quite old, dating to when the Franks and even the Indo-Europeans before them marked off boundaries by foot. Best of all, "March" is a tasty mouthful. That -ch ending is explosive, definite; and yet it also has a softness, a long-lasting breathy end that belies its hard beginning. As I considered this -ch sound, I realized that I have a particular fondness for words that end in -ch--they pop up again and again in my poems--and a project, a challenge, was born! So here is a collection of -CH words, one muscular verb for eaCH weekday of MarCH. I'm going to stretCH myself to post five -CH poems weekly throughout March! A few will be previously published, but most will be brand-new. Please join me in this CHallenge, poetry friends! If you can't write with me every day, maybe you'll share your one or two per week, or your five-in-a-row, or your favorite poem by another author including the -CH word of the day....I welcome your participation! I'll repost each word on its day, and you can send me your responses by email or leave them in the comments for that post. I'll share all the responses for each week on Sunday mornings, and on March 31st I'll announce the "Stretchiest Marcher" (the poet who responded to the most words) and send a poetry prize his or her way! Oooooooohhhh noooooooooo! Returning from school I accidentally deleted all the round-ups I'd written after 1pm, from Irene (22) through Tricia (34). And then, hoping to retrieve them, I accidentally deleted all the roundups I'd written this morning! Woe is me, woe are us! Luckily, we have the blue frog working for us and I think your links are all still there. My apologies, but I'm just going to leave it this way. Thanks for stopping by--I look forward to reading each and every post thoroughly! Thanks so much for hosting this week and for having this up extra early. Really appreciate it. Love poetry projects! I'm in today with a celebration of Dr.Seuss'upcoming birthday. I'm so ready to MARCH into spring! A march of words! How fun! What a great idea for a MarCH poetry CHallenge and so many great -ch words to CHoose from! I've wanted to write at least a half-dozen poems for Laura's challenge - but I just haven't had the time! Sounds like you've set up a nice challenge for yourself, too. Today I'm sharing news about 3 new books coming out this week & next! Wow, Heidi, I could say the same thing as Diane. What a wonderful idea! Or should I say a "champion" idea? I will try sometimes, but I am blogging every day in March with my students, another challenge but not always poetry. I'll check back in to see what you're up to! Thanks for hosting. Heidi, this is SO exciting. Hooray, hooray! I'm glad that you're picking up where the month sound poems left off. I will send our band of merry poets over your way. I am doing the cha-cha-cha. We're down to the last few prompts in our February poem-a-day project. The Day 26 sound is a train, which had many poets feeling nostalgic. Three CHeers for you, Heidi - for hosting and CHallenging. I'll circle back in March, but my track records at faithfully participating in these wonderful things - Like Larura's - is spotty, despite the roads I pave with good intentions. But what fun this one will be! I'm in this week with Barbara Crooker. Heidi, thank you for hosting Poetry Friday. Your image of a girl stretching looks like what we do in the yoga studio and I love the design. Happy Birthday month. Your ch challenge looks like fun so I hope I can add a few poems to your collection. Heidi, I love this idea! Can't wait to read through your words more carefully. Thanks for hosting today! Yay for March! And Happy Birthday Month! My oldest daughter's birthday is St. Patrick's Day. :-) Love the "ch" words! Thanks for hosting and giving me yet another poetry challenge. I am participating in the March Madness, so that may take all my poetic brain power. But I will most likely be eliminated early. I am stretching and reaching for new adventures. Thanks for hosting, Heidi! Your March challenge sounds like fun :-) Looking forward to seeing you soon. What fun! I love all the crunchy sounds! In today's Teaching Authors post, "Facts + Poetry = Creative Nonfiction" (http://www.teachingauthors.com/2015/02/facts-poetry-creative-nonfiction.html), I discuss using techniques of poetry to liven up nonfiction for kids. I am ready to MarCH into spring after this CHilly winter! Thank you for sharing your cool CHallenge and for hosting today. I love seeing and learning about all of the neat ways people in this community push themselves. The March project sounds fun. It is a great word that really matches the season. Thanks for hosting! Good morning Heidi! In anticipation of next week's launch of the poetry seven sestinas, 'm in today with one by Elizabeth Bishop. Hi Heidi! 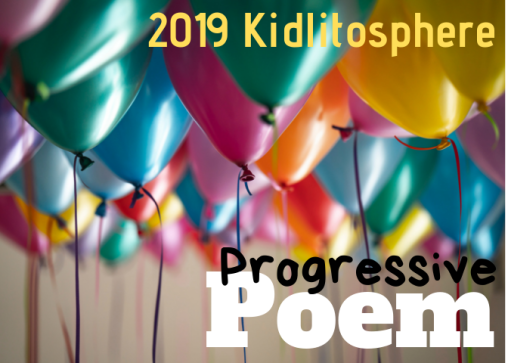 I just added my late entry to Poetry Friday, partly because I've been busy preparing for my son's March birthday, and am also looking forward to my own birthday in March. I am another Pisces Poet. I love your tribute to marvelous March, and your CHallenge. Happy almost-March! Ooh I love your list-chock full of challenging words. Will try to stop by and participate at least a few times. Hope I'm not too late for the party! Thank you for hosting. Just added my link. Thanks for hosting this week and for rounding up, Heidi. I'll have to tune in and enjoy your March Challenge - such brave and creative poets you all are! hearts again and why not?